Completely plastic, 5-1/2". SAVE!! Quantity discount of 25 cents per item on purchase of 6 or more. Completely plastic fits on outside of cage. Made by Lixit. Nest Box 11" x 18" x 10 1/2" for New Zealand, Calfornian size Rabbits. 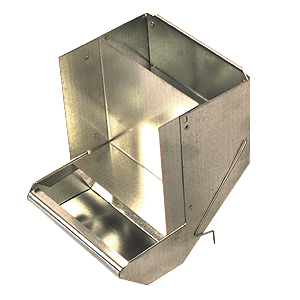 Nest box is galvanized steel with removeable wood bottom. Bottom is replaceable. 7" X 12" X 6 1/2" Metal nest box with removable wood bottom. The nest box is made of metal. the size is 9" x 14" x 8.5". Has a removeable wood bottom. 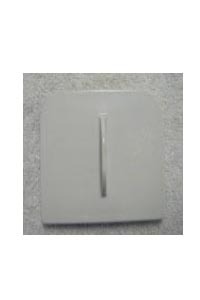 Completely plastic, goes with above plastic feeder, 3-1/2". SAVE!! Quantity discount of 25 cents per item on purchase of 6 or more.